24 Hour Fitness offers Free one month trial. Plus, get 50% off their initial sign up fee. 24 Hour Fitness offers Free Pass to 24 Hour Fitness. Pass is valid beginning on your first day of usage at a club. Pass good at multiple locations. User must not have been a guest or member of 24 Hour Fitness within the last 6 months. Photo ID required. 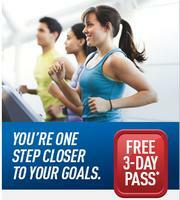 24 Hour Fitness offers a free 3 day trial pass at any club. 24 Hour Fitness offers the Fitbit Ultra Wireless Activity Tracker in Blue or Plum for $99.95. It includes free access to Fitbit.com. Amazon offers it in Plum for $76.43 with free shipping. 24 Hour Fitness offers a 2.91-lb. Jar of Dymatize Elite Fusion 7 Protein 100% Whey Protein in Chocolate plus a Shaker for $41.24. 24 Hour Fitness offers a 7-day trial membership for free (Registration is required). Only for new members, previous members or guests in the last six months are excluded. The trial starts on the first day of gym usage. 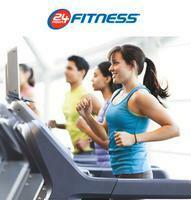 24 Hour Fitness takes 10% off orders of $50 or more via coupon code "AFP8128". Alternatively, get 15% off orders of $100 or more via coupon code "AFP2012S100". 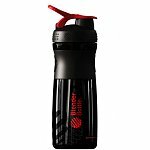 24 Hour Fitness offers 28-Ounce Blender Bottle Sport Mixer (Black, Blue. Pink or Red) for $7.99/each with free shipping via Coupon AFPSMIX2. 24 Hour Fitness offers Bobble 18.5-oz. 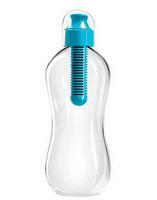 Filtered Water Bottle Blue for $5.99 - 10% off w/coupon AFPACC10 = $5.39 + Free Shipping. 24 Hour Fitness offers sale on Apex Brownies and Breakfast Bar 12-Count Boxes to $11.88. Use coupon code "BARSALE24" to drop them to $6.99 with free shipping. 24 Hour Fitness takes 50% off one Everlast boxing or MMA item via coupon code "AFPEVER5". Plus, all orders receive free shipping with no minimum purchase required.